Why theater? : Ah, good question. Sometimes I ask theater, why me? Theater and I started a relationship years ago and we have stayed together since. It is never an easy one, but we both get a lot from each other, so we make it work. Theater also has brought me some of the greatest people in the world. For that I am deeply grateful. Tell us about Doruntine: This is how I explain Doruntine to my American friends: Doruntine is a story that has served people of Albanian culture for centuries in reminding them who they are. Blessed Unrest, in collaboration with Teatri ODA, has translated this myth from our cultural perspective, asking the story in our retelling if it can tell us something about us, too. What is it like being a part of Doruntine? : It is thrilling! At Blessed Unrest, we work in ensemble to make theater that relies on the strength and ingenuity of the human body and theater that employs the power of metaphor to dive deep into the wells of our stories in search of new meaning for ourselves and our audiences. Teatri ODA shares our values, and they are all highly skilled, dedicated people. Working with them has been an incredible gift. What kind of theater speaks to you? What or who inspires you as an artist? : Theater that lives outside of the world of naturalism and inside the world of human possibility – what do I mean? I mean theater that can create spaces that only exist inside a theater: theater that can take everyday objects and quotidian means to create rich and diverse landscapes. I see a lot of this possible within ensemble companies like SITI company, Tantztheater Wuppertal Pina Bausch, and the Berliner Ensemble. Any roles you’re dying to play? : I am dying to be young again, to sing like a 70s classic rock icon, and to play lead in a dance-heavy production of The Who’s Quadrophenia. It’s better than Tommy. But hey, I wouldn’t turn my nose up at Hal in Henry IV while I’ve still got a little hair on my crown. What’s your favorite showtune? : King Herod’s song to Christ in Jesus Christ Superstar. I love that song. Who would play you in a movie about yourself and what would it be called? 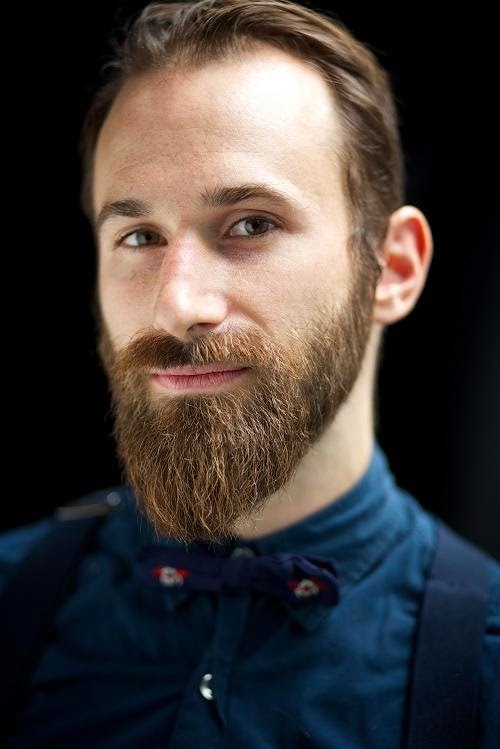 : Matt Opatrny, Managing Director of Blessed Unrest, would play me, and in turn, I would play Matt, and it would be called "Le Laveur de Vaisselle"
If you could go back in time and see any play or musical you missed, what would it be? : I’d like to go back and see what Brecht was doing. I want to see him in process and listen to him talk about theater. What show have you recommended to your friends? : Blessed Unrest shows, of course! I do have to say, as an artist who strives to live below his means, it’s really challenging to shell out a bunch of loot for a big time show and then walk home disappointed, so I have found the most joy lately in supporting my friends and the smaller companies that create work not for a living, but because they care about the work they make and they will go on making it even if it costs them their hard earned rent money to make it. That being said, I like Broken Box Mime Troupe. What’s your biggest guilty pleasure? : Oh, the actor food binge – late night snacking when I get home after a performance. What’s up next? : Working with Blessed Unrest on a devised piece about the Human Body in the Ice Factory Festival this summer.